Germany's Clostridium Records keep on pushing great psychedelic sounds for the cosmically oriented masses. Well, quite small masses in fact since all their high quality releases are strictly limited editions. Lamp of the Universe has been one my favourite trippy, spacey and spiritual psych folk acts since the beginning and I'm always excited about Craig Williamson's new musical adventures. This guy from New Zealand has the ability to transport the listener into a mystical, metaphysical plane with his beautiful, hypnotic and mind-blowing music. 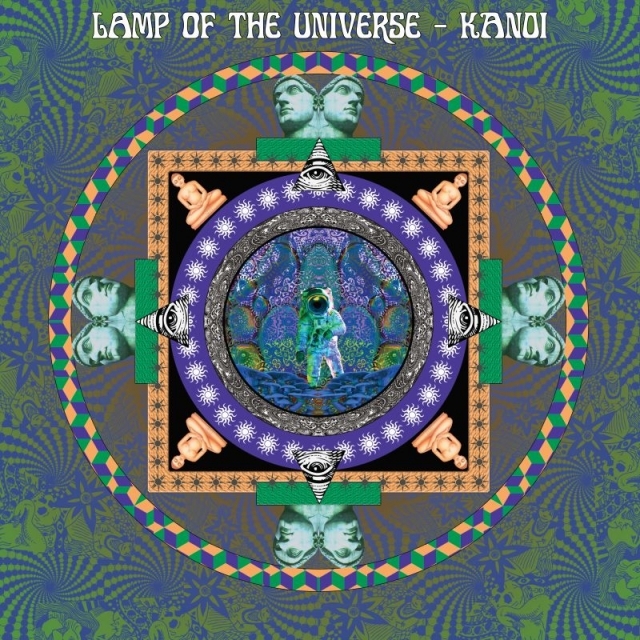 Kanoi is a pretty new one-man-band from Austria whose progress into the heart of the psychedelia I've been following for some time now and I've got to say he has now definitely found the way. This time LOTU offers us four a bit shorter (relatively speaking...) tracks, two of them being just little instrumental meditations. All four tracks were performed in a drug entranced search for the god YHWY and I feel the god was found or at least glimpses were seen. The two-minute "In the Beginning" starts the spiritual journey in a smooth, Eastern-tinged way. Slowly we are taken further with the mystical, dreamy and peaceful "The Cosmic Body Track". Amazing! After that the creator of the cosmos, "Father" is slowly introduced to us mere mortals. This track is a bit heavier with more fuzzy electric guitar and drums but still very dreamy and trippy and extremely cosmic. Human voice is only used as an instrument. Very cool! The short and meditative "Space Chant" that ends side A is pure magic. The Kanoi side has two long tracks. "I'm Gone (I'm Gone)" starts with acoustic guitar, nice, groovy beat, heavenly keyboards and beutiful vocals with tons of reverb. Soon we also get some acidic lead guitar work and there's plenty of that to come. 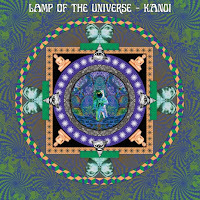 Kanoi has never sounded this good, I'm loving this! The track just gets more psychedelic with the next section that includes spacey synth sounds, backwards guitar etc... Wow! Towards the end the acoustic mood returns but in much more tranquil way and things get really dreamy and chilled out. "Mountains of the Sun" is a laid-back and very beautiful psych rock/pop track that I also love. Towards the end it starts to rock out some more with cool solo guitar work. Don't get too high while listening or you might not find your way back. Excellent work by Benjamin Kantschieder! In summary, this is a totally mind-blowing split album by two superb mind explorers and I highly recommend trying to score the hand-numbered die-hard edition on green/yellow/white vinyl with insert and puzzle as it really looks and sounds amazing with the excellent artwork and sleeve design by Dale Simpson. 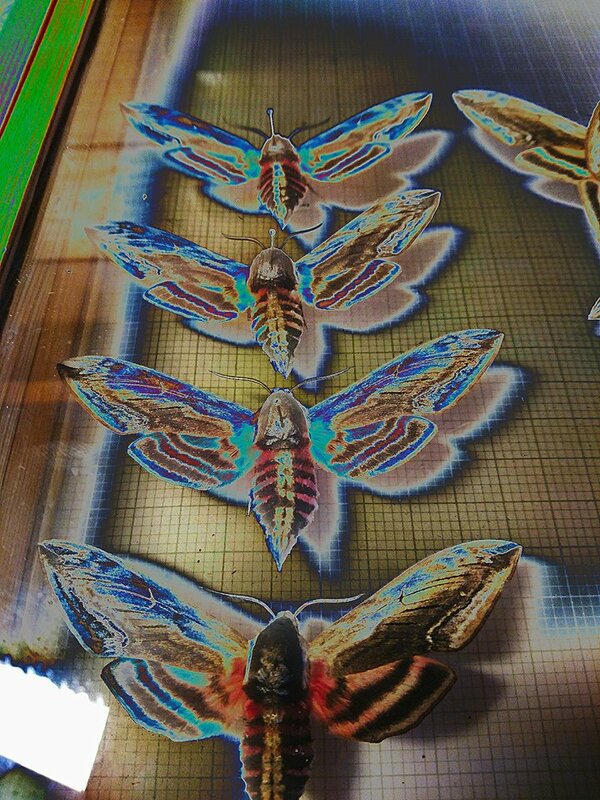 Check out my photo below. Astral Visions #74 now at Mixcloud! 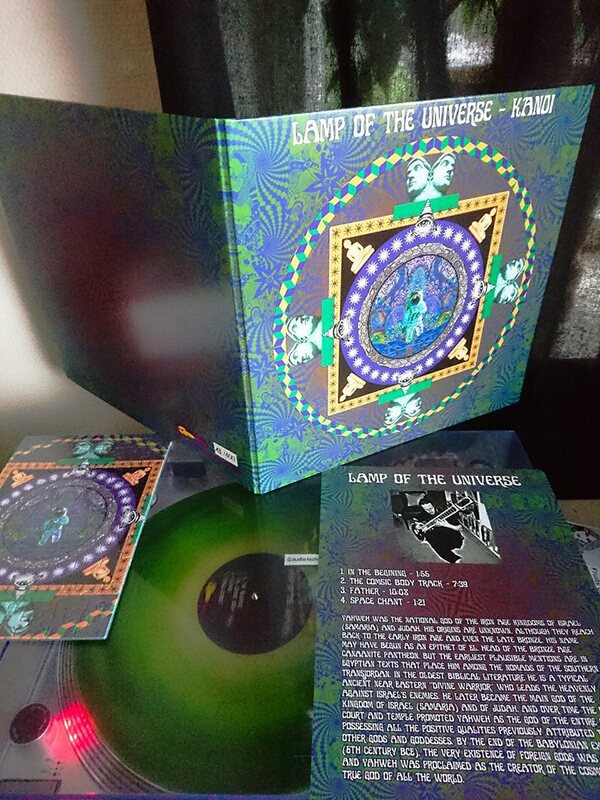 The Welsh psychedelic space rock masters just keep on putting out great stuff (around 30 releases in 10 years!). I'm glad that they do, since I now can confirm that they are one of my favourite bands. 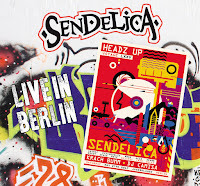 This is a limited (200 copies) CD only release that will be out next month. Live in Berlin captures the band's final gig on their recent European Spring Tour and having seen them in Finland again I can say that the band really is on fire with the new drummer Joe Caswell who gives new energy levels to their live performances. The rest of the live band still is Pete Bingham (guitar), Glenda Pescado (bass) and Lee Relfe (sax). My only complaint is that, probably due to economical reasons, they don't have synth players or singers on their European tours and that treat is reserved for the U.K audiences only. But hey, these four guys are enough to make an unforgetful evening of great live music, I assure you! Not ofter do bands start their gigs with a 20-minute track but Sendelica effortlessly pulls that off with their 2016 masterpiece "Cromlech Suite", entitled here "Chronicles Chronicles" like the album. Amazing! The semi-Pink Floyd cover "Set the Controls for the Heart of the Buddha" is next and we are pulled into a mysterious, psychedelic and sort of Oriental world. I love Lee's sax especially on this one! A new track that they come up with at rehealsals is called "Lost City of Cardiza" and it takes of where the last track ended. A shortened version of "Not the Time for Salads" from the new 2LP Lilacs Out of the Deadlands comes next and it takes us to the "Baalbek Stones" that works out excellently live. Then it's time for a extended, 20-minute space rock monster "Dancing to Dante's Inferno" that reeks of Hawkwindian space dust. Lots of cool jamming on this one! "Shades Revisited" opens up in calm and beautiful way but gets pretty progressive and busy later on. What a great way to end a live CD! The sound quality is crystal clear so the only thing I'm missing here is a vinyl edition. Get this CD before it's gone! Horn Ur Marken is the third album by Swedish dark psych / post-punk /alternative rock band The Janitors. It is their statemant againts religious misdoings, capitalist selfishness, racist idiocrasy and fascism. I'm still kicking myself for not buying the previous Cardinal Fuzz release, the 2LP Drone Head since it seems to be impossible to find in any reasonable price. 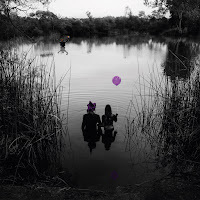 Luckily I've got their previous release, the excellent 2014 12" EP Evil Doings of an Evil Kind that I also reviewed. In my review I compared The Janitors to Cult of Dom Keller, Dead Skeletons, Sonic Jesus, The Underground Youth & The Spacemen 3 and this still sort of holds. There are seven tracks on the album. 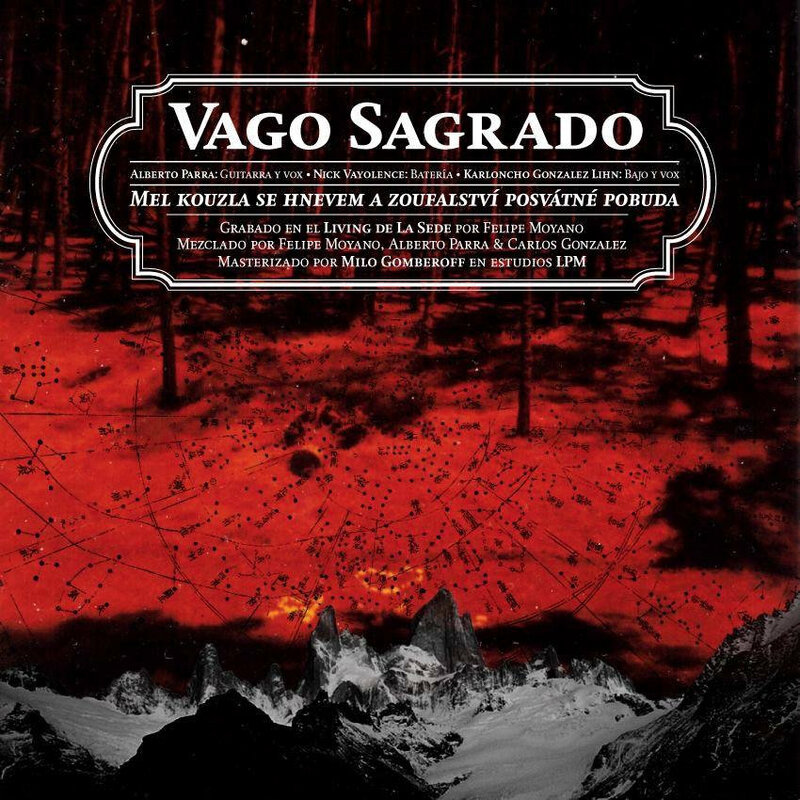 It starts off with the hypnotic, heavy, gloomy and excellent mid-tempo "Trojan Horse", one of my favourites. The slow title track comes next and it's a dark, mesmerizing trip that goes on for nine and a half minutes. "Neon Times" is a bit more energetic and percussive blast that offers no mercy or hope for the human kind. On the fuzz-filled "Blizzard" the band starts to rock out more and gets wild, but the overal vibe still is dark and hopeless. Not that it gets any lighter at any point... The droney "In the Wood" brings to mind early Specemen 3 and "Fear of All" has strong post-punk/Gothic overtunes. The album is finished with the peaceful and hazy but alarming instrumental "Alarmatica". 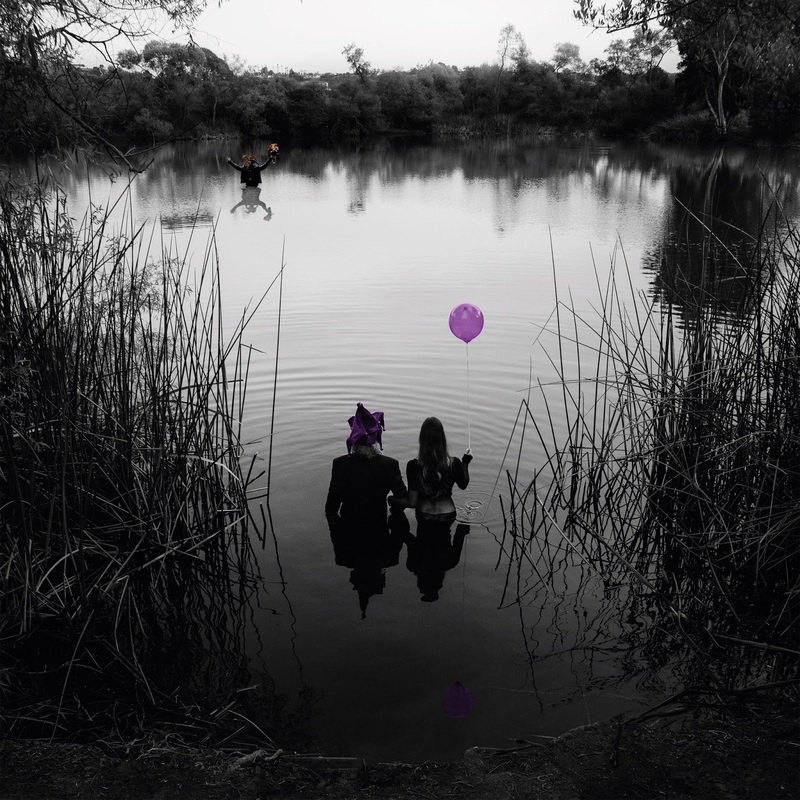 I really enjoy this album although it certainly does not make you feel "good" in a normal way because of its dark, unsettling message and vibe but musically it gives you great satisfaction. Horn Ur Marken is out on two different vinyl editions, CD and cassette, go and get it! 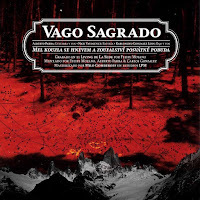 Vago Sagrado is a Chilean psychedelic rock trio from Santiago. This is their debut album and first put out on tape in 2015 by ETCS Records. It was finally released on vinyl by Adansonia last month. 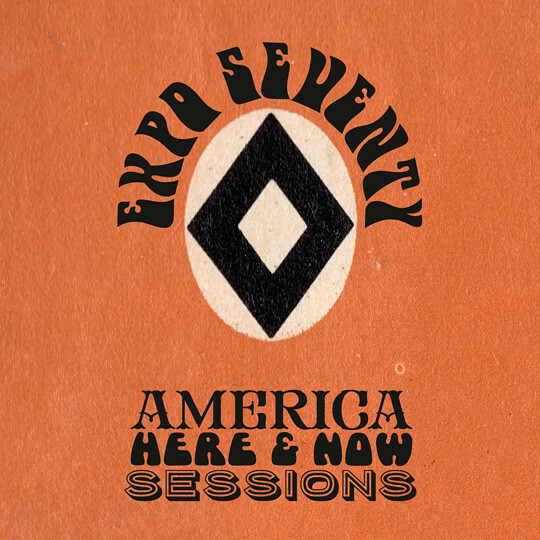 I really enjoy the band's warm, fuzzy, heart-felt and free-form take on making psychedelic rock with the classic guitar-bass-drums combo. The seven songs herein are pretty simple but work out great. The instrumental "La Alfombra Debajo del Océano" starts off and ends with some ocean sounds and is mostly dreamy, slow and hazy stuff but also rocks out faster in the middle. I'm somehow reminded of early La Ira de Dios stuff. "Take Back the North" has cool spoken word and beutiful instrumentation but gets louder and noisier later on. This is not excatly stoner rock but gets close. One of the best tracks is the hypnotic and spellbounding "Hermanos" that has vocals in Spanish. Very nice! "Sacred Bum" and "Circo" are another two great, dreamy, sunburned acid rock jams with spoken vocals. The next track is the instrumental "Reprise" that rocks faster almost in krautrock/post-punk vein and I'm enjoying the ride. The album is finished with the slow and heavy instrumental "Mojo". 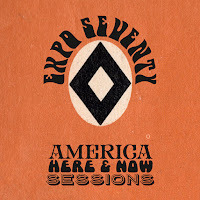 All in all, this is a great album with some excellent playing by a tight and inventive trio that can make the usual rock instrumentation and psych rock tricks sound inventive and fresh. 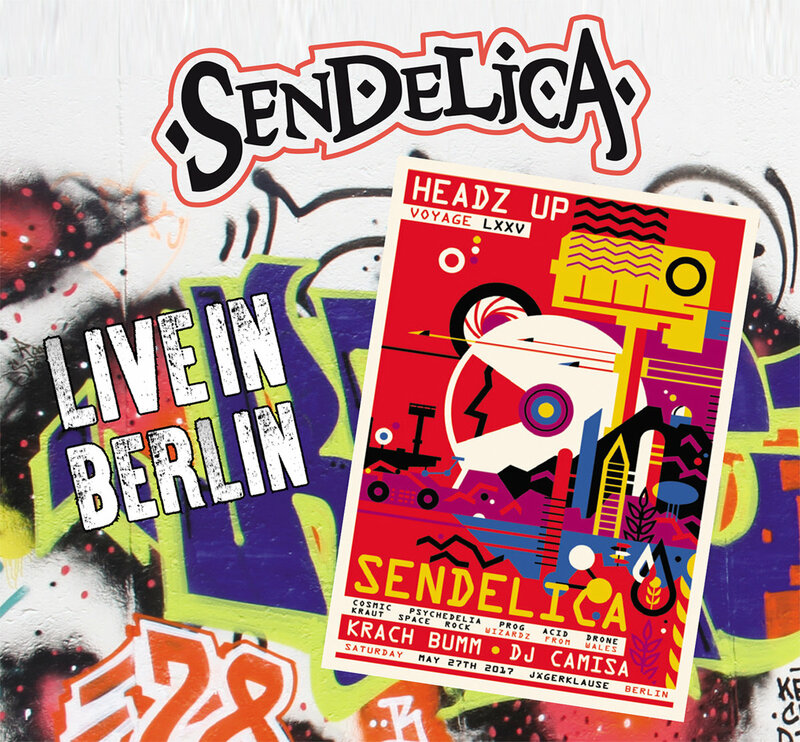 Excellent vibes, check this out! I had a great night, thanks everyone! This is (more or less..) what I played, check out my short videos of the bands below. It has been two years since Finland's (or the world's) best band Circle released their previous studio album called Pharaoh Overlord. Of course, their parallel band Pharaoh Overlord put out an album called Circle at the same time. Confused yet? You definitely should. 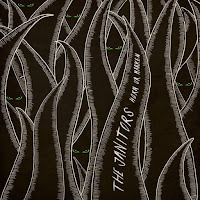 Anyway, live album 6000 km/h Part 2 and the Kummitus 7" were released last year to keep the addicted fans happy. Circle has been famous for the fact that anything can happen during their gigs and this also is true on their live and studio releases. You can never quite know what to expect. They might have done a punk album, a krautrock album, a metal album, a noise rock album, a glam rock album, an acoustic folk album, an experimental album or what ever. If you count all the side-projects as well, the possibilities of different musical styles is endless. At the moment I do feel that Terminal is one of their strongest moments. The album starts off with the almost 13-minute "Rakkautta Al Dente". It begins with a heavy, hypnotic riff that makes you bang your head. At first, the screamed vocals sound like black metal for a while. After the two-minute-marker we get some cool Mika Rättö vocals and then the track gets more exploring and jamming. Towards the end the hypnotic basic riff returns to a great effect. Excellent! 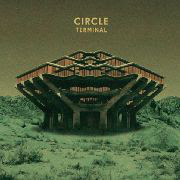 The pounding title track "Terminal" is like a mix of Hawkwind, Stooges and MC5, of course with a distinctive Pori twist. You just got to love stuff like this! "Saxo" begins with a minute of simple harmony vocals and then starts to rock out sounding like a big boatful of intocicated vikings attacking and pillaging your home village. Very powerful stuff. "Imperiumi" is another heavy but a bit more progressive piece that sounds like classic Circle material: motorik, weird and melodic at the same time. The next track "Kill City" has a sort of 90s heavy psych rock vibe and I most certainly enjoy it a lot. The end is very peaceful and pretty for a nice contrast. "Sick Child" ends the album with English vocals by guitarist Janne Westerlund. This one will put you in trance, and in the end it gets more chaotic and noisy. What can I say: I just love this album. One if not THE best release this year. I've been a Jesters of Destiny fanboy since the 80's so you can guess how excited I got when the rumors of a "come-back" album started to make the rounds a few years ago. The debut LP Fun at the Funeral by this legendary "alternative metal" cult band was released in 1986 on Metal Blade's sub-label Dimension Records and a covers 12" In a Nostalgic Mood was put out the following year. I guess their weird but creative mix of metal, hard rock, psychedelic rock, glam, punk and pop was too much for the masses then and they were dropped from Metal Blade and soon disbanded. Finland's Ektro Records have been doing their share in keeping the flame alive re-releasing the debut album first on CD and then on LP as well as some Circle stuff featuring original Jesters members. It seems that almost by accident Bruce Duff and Ray Violet, the key members since the beginning, both were writing new stuff that started to sound like Jesters of Destiny and then thought about putting another album out after a 30-year gap. They recruited a few more musicians to help out and now the new wonderful album The Sorrows That Refuse to Drown is reality! 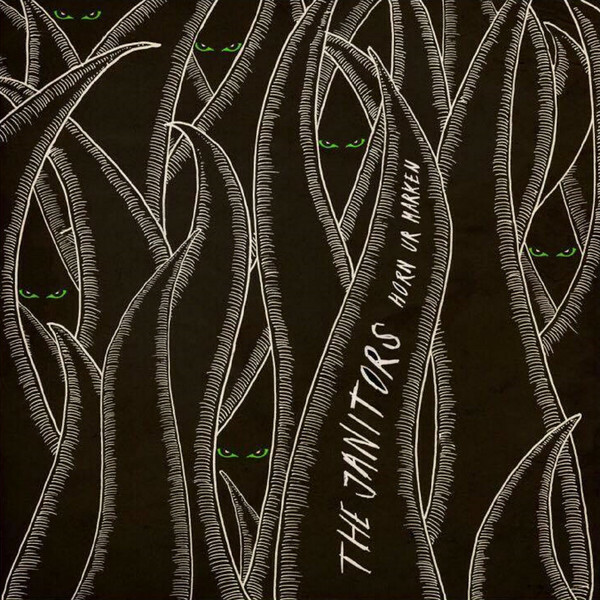 The album starts off with the metallic and edgy mid-tempo "Fire in the Six Foot Hole". It's strange how you can immediately tell it's the Jesters, although the sound is modern. A great opener! "The Flesh Parade" is a bit faster rocker with pleasant melodies, one of the key ingredients of the band. "Ladies of Runyon Canyon" also includes some violin and organ being a pretty interesting, short instrumental piece. "My Card, Sir" rocks out again like the debut also including a slower, heavy and almost doomy end part turning into chaos. "Chalk Outline" is another great Jesters of Destiny heavy rocker with catchy melodies including a weird, free-jazzy middle part. That figures. One of my favourites is the pounding, fuzzy garage psych blast "The Misunderstood", superb! "'Til The Following Night" begins with something that sounds to be taken from a horror movie and then we get some booze-filled dirty rock'n'roll / garage punk. Wow. "Sunset Boulevard" gives you the creeps with its scary beginning and stays pretty weird and spooky. The second short instrumental "Peace, Blood And Charlie Cocaine" reminds me of Blue Öyster Cult which is never a bad thing. There's even a drum solo in there. Then the band returns to the start theme but with a different twist with "Another Fire Six Feet Deep". The album is finished off with the light and cheery "Happy Ending". What can I say, the Jesters of Destiny still rule!